After a wet and chilly start to the week that had many in the Chicago area pulling out their coats once more, it appears summer weather isn't far away. Tuesday will likely mark the start of a rebound with temperature highs set to reach into the upper-60s and low-70s well inland. Those highs will likely stay cooler along the lakefront, however, prompting a big spread in temperatures as the day goes on. Conditions look to stay mostly cloudy, with partial sun arriving by the afternoon hours. By Wednesday, sunny and warmer weather will see highs reaching into the mid- to upper-70s. Then comes the real summer-like temps. On Thursday, highs are set to reach into the low-80s with mostly sunny skies and more humid conditions. Temps stay in the 80s for the remainder of the week and into the weekend, possibly dropping into the upper-70s for Sunday. 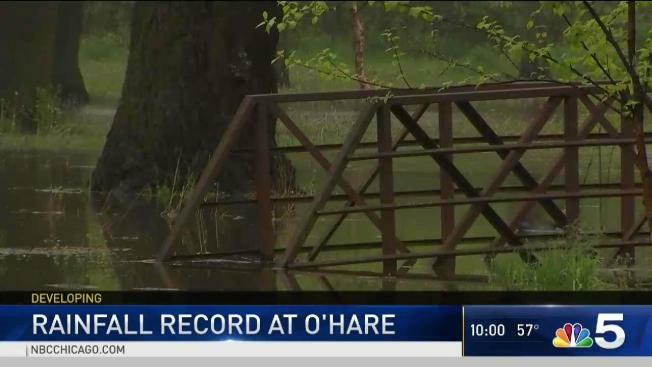 The return of summer will be a welcomed homecoming as many in the Chicago area faced temperatures in the 50s and rainy weather Monday.